Welcome to the next stage in the evolution of Hope Lies at 24 Frames Per Second. Dramatic much? 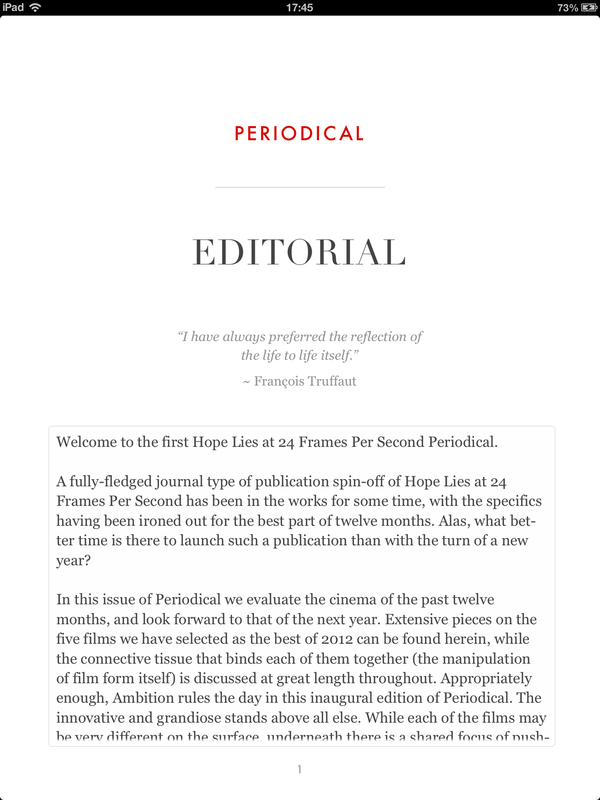 But alas, we’re very much excited to bring to you details of our latest project, the Hope Lies Periodical. 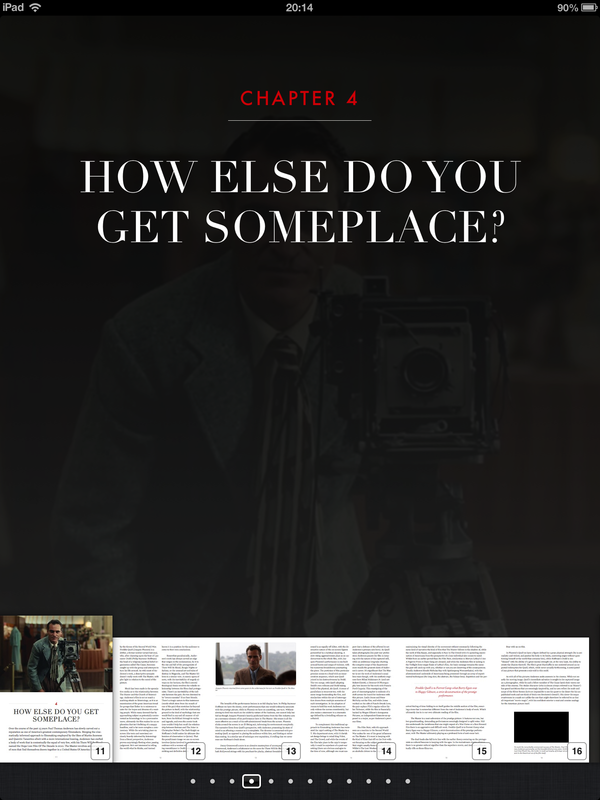 We’ve long mused over the possibilities of producing a spin-off publication to Hope Lies at 24 Frames Per Second, with the seeds of Periodical sown a little over 12 months ago, but now we’re finally able to bring it to you. 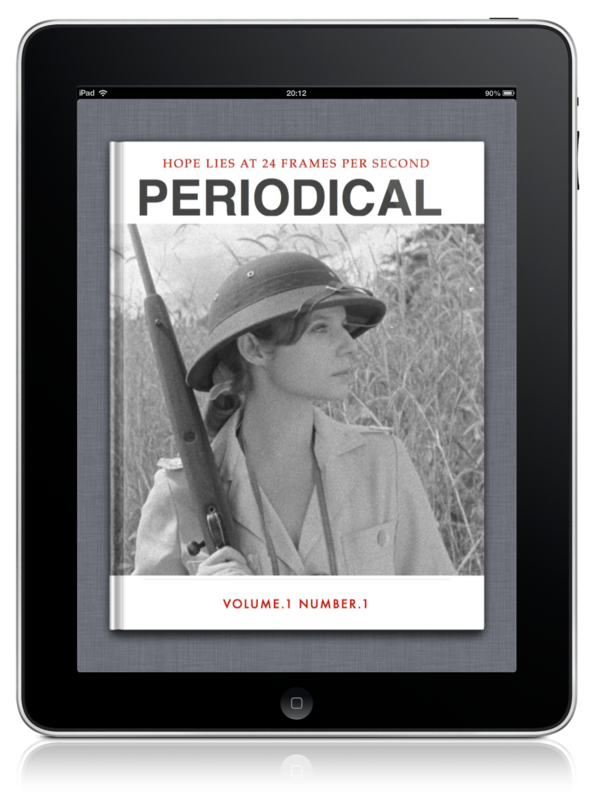 While we’ve experimented with the ePublishing form with our Monograph imprint, Periodical is very much an evolution of that initial idea, with an emphasis on grounded, valuable film criticism that stands outside of the infinite vortex that web-based writing is tied to. Sight & Sound, Cineaste and Film Comment are the key influences, with each volume intended to have a shelf-live of longer than a few weeks. Issue 1 is very much a working concept designed to show off the idea and the technology behind the project. 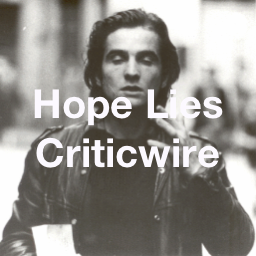 Content is a combination of existing Hope Lies coverage and rewritten prose, but that’s not going to be the case from issue #2, which is contributor derived and all-original. 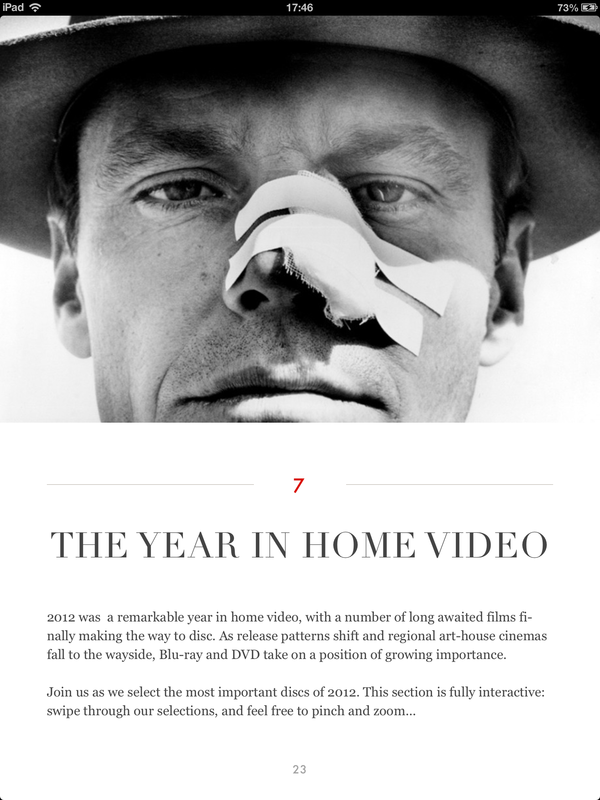 In this issue, the first of 2013 we take a look back at the defining cinema of 2012 (this was actually produced in December of last year, believe it or not, the iTunes submission process took an age), and take a look forward to 2013. There’s a real emphasis on the interactive, with video content, photo galleries and more featuring throughout (you should see what we’ve done with our Deconstructing The Social Network concept). Check out the images below for an idea of what you’re getting yourself in to. Click on this link to be taken to the relevant iTunes page for Periodical #1, and please feel free to send any feedback via Twitter or in the comments section below.